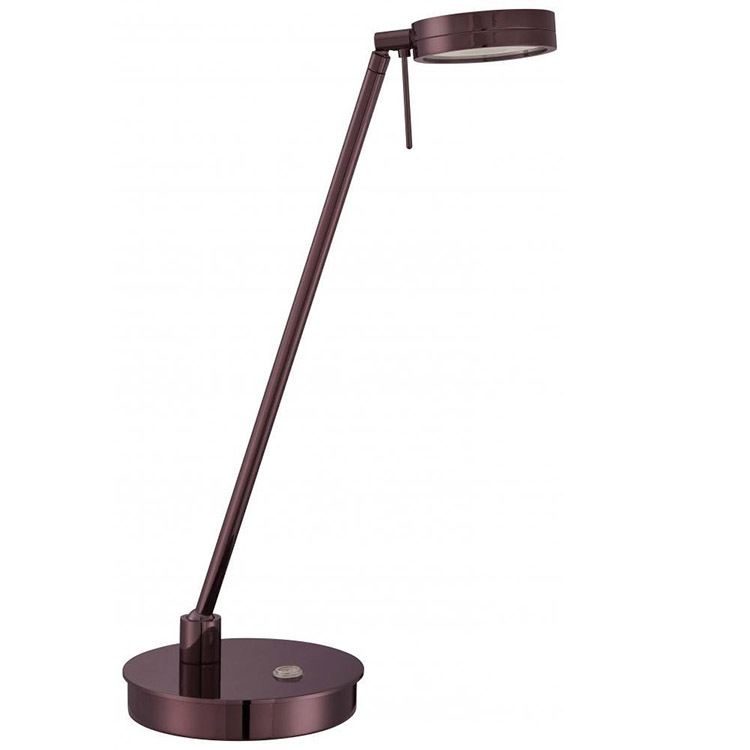 George Kovacs task lamp is balanced, graceful, and functional — a beauty of a task lamp. On/off dimmer controls the 442 lumens of light from an 8-watt LED bulb. Adjustable arm & shade let you focus light where you need it. Small footprint takes up little space on your desk, nightstand, etc. Available in polished chrome, brushed nickel, honey gold, chocolate, and copper bronze. 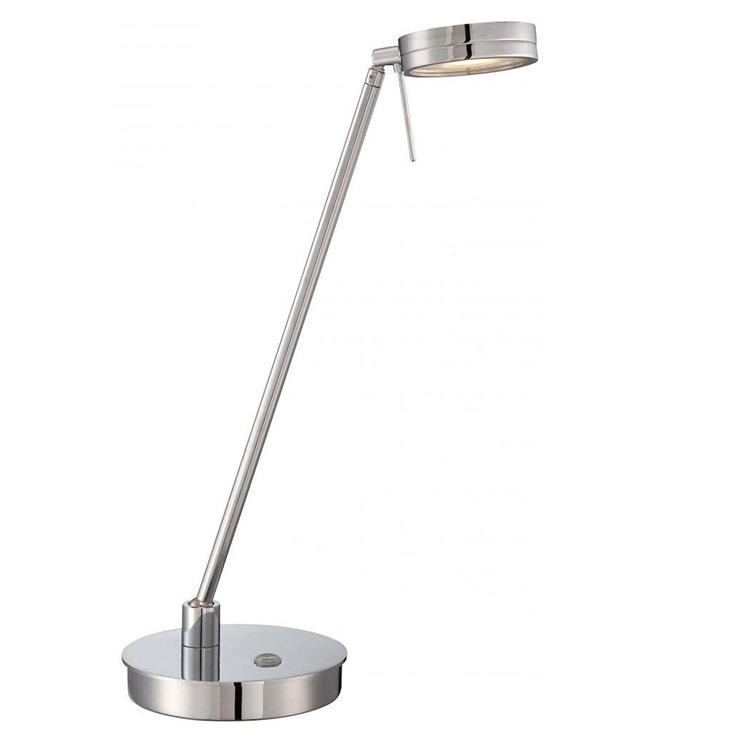 A lamp worthy of the brand George Kovacs, whose legacy is bringing modern, European lighting to the USA.